Vacations are just around the corner. You can plan a day trip to Subic and go home at the end of the day, thanks to SCTEX. But what are the most memorable weekends? It's when you plan an out of town with your family and have a sumptuous feast to back up. 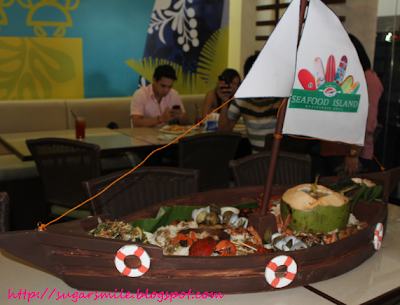 Thanks to Blackbeard's Seafood Island at Harbor Point, Subic, a fun-filled bonding is definitely possible. 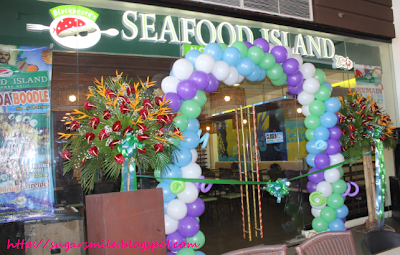 Just like the other branches of Blackbeard's Seafood Island (BSI) , the Harbor Point Branch has the summer feel to it. 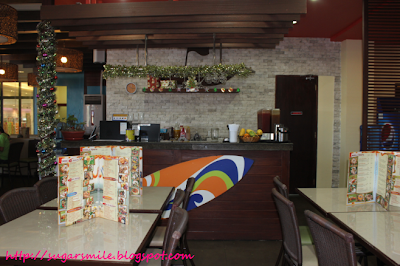 Colorful surfboards, beach interiors and the like never fail to make me want to go to the ocean and swim. But of course, its so much better with BSI because there are tons of food for everyone. We were lucky that during our visit, they served Boodle Boats for us to enjoy. 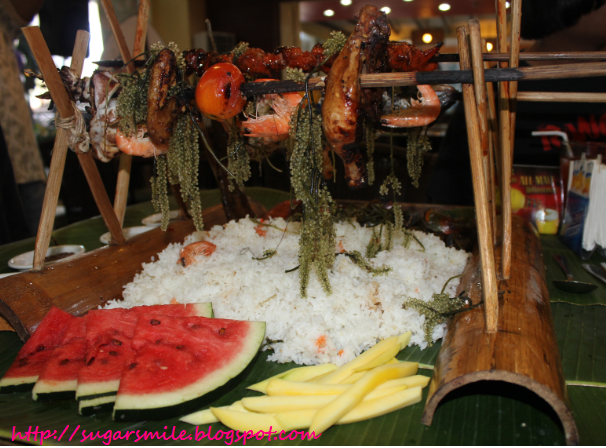 If you have seen my feature on BSI Robinson's Magnolia, we bonded over their Boodle Feasts, so this boat is something I've never expected. 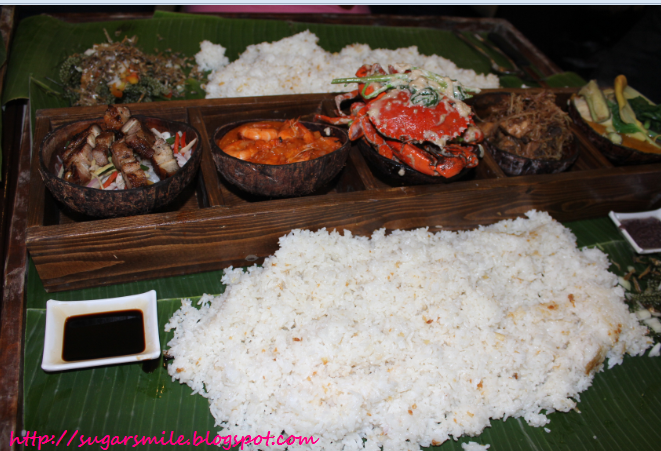 Oh, just look at the crabs, prawns and squid and how I drooled just by looking. So I can testify that it's different when you finally eat them. 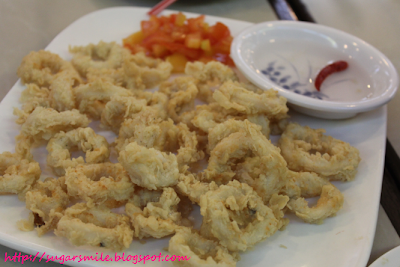 They're all yummy and you're sure that you only eat the freshest catch. So if you're going on a road trip to Subic, make sure to drop by first to Blackbeard's Seafood Island Harbor Point to have your seafood fill before basking in the waters of Subic beaches. 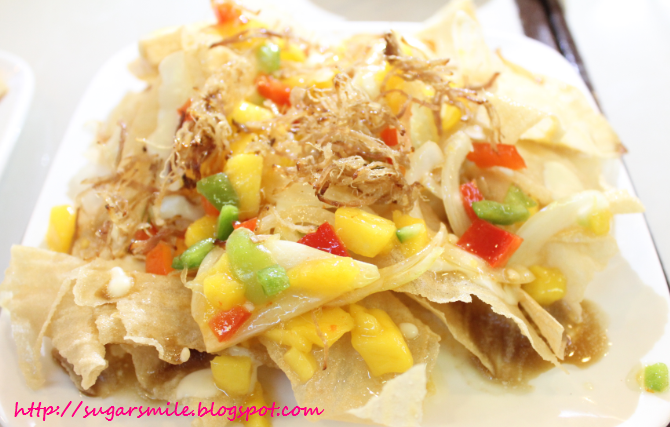 It is located at Unit 2091, 2nd Floor, Harbor Point, Subic (tel. (047)251-1027). Just want to say your article is as amazing. The clearness in your post is just great and i can assume you're an expert on this subject. Fine with your permission allow me to grab your RSS feed to keep up to date with forthcoming post. Thanks a million and please carry on the rewarding work. It's genuinely very difficult in this busy life to listen news on Television, so I just use the web for that reason, and obtain the most up-to-date news.